Yesterday’s poll results were very telling: taxpayers across North Carolina overwhelmingly voted against the latest Democrat tax idea – transfer taxes on real estate. Voters in all 16 of the 16 counties with the “home tax” on the ballot rejected this new tax. 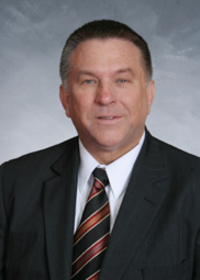 Editor's Note: Phil Berger (R-Rockingham) is the North Carolina Senate Republican Leader. Today, Americans for Prosperity North Carolina and FreedomWorks held a news conference to discuss the victories in counties statewide. Check out the videos, below, posted by the Locke Foundation's Mitch Kokai. Congrats all around to those who worked so hard to defeat this issue. 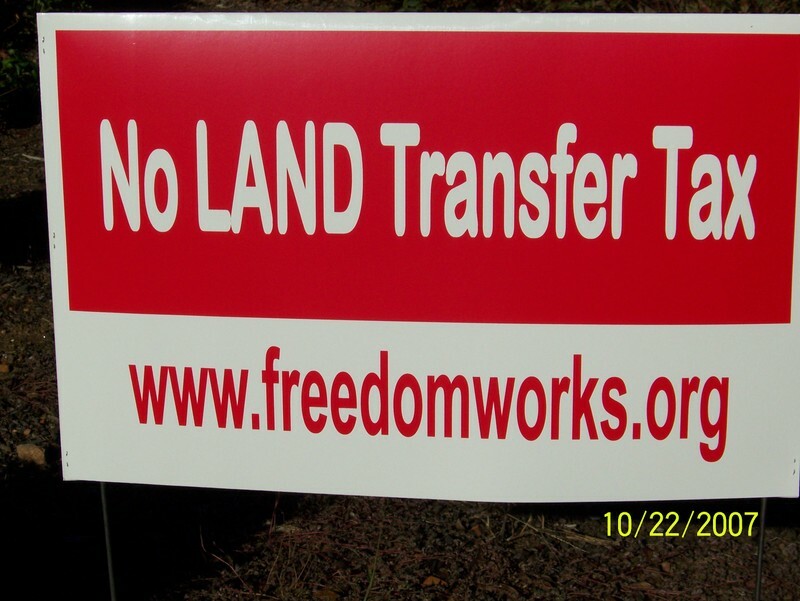 Yesterday, November 6, 2007, 16 counties voted down the land transfer tax. None passed it. I write this to document for history why this happened. The first attachment is today's News & Observer article "Property Transfer Tax Rejected Across North Carolina". Most of the referenda went down 3 to 1 and in Graham County the vote was 97% against. The second attachment is the substantive reasons why governments should not adopt a land transfer tax. But how did we get to the point where politicians in 16 counties would put a new tax on the ballot for the voters to reject? These referenda were authorized by the 2007 Appropriations Bill (HB 1473) by a special provision that had not been included in either the House or Senate version of the budget. Putting this is in the Conference Report on the Budget violated Rule 44(b) of the House which prohibits matters not in controversy from being inserted by conferees. Why did the conferees feel the need to violate their own rule? The conferees could not get a majority of either the House or the Senate to go along. But the minority of the House who favored these taxes were in leadership positions and insisted on it. They have now had their hats handed to them by the voters. They should immediately repeal this misbegotten provision. For verification you can link to our audio of the point of order (http://www.paulstam.info/pages/audio.html ) which I made to the Speaker protesting the inclusion of this and other items in the conferee report because they violated House rules. And you can also link to the audio of the debate on the Appropriations Bill (HB 1473) (http://www.paulstam.info/pages/audio.html ) itself. Approximately half-way through that audio is a discussion of the transfer tax on its merits. Please keep this in your permanent records for the next time this ill-conceived idea raises its hoary head. 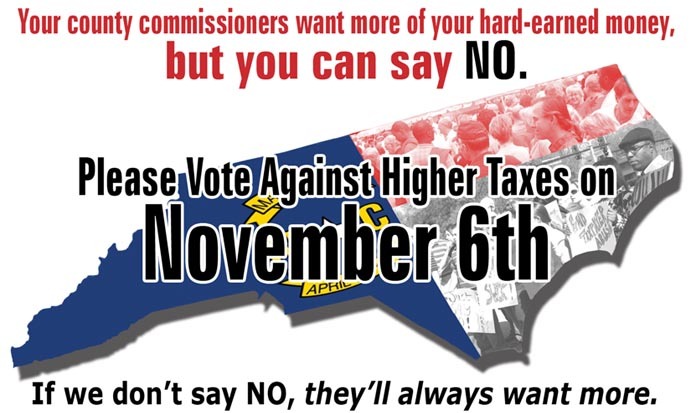 Please vote against local tax increases in your community next Tuesday November 6th. For those of you living in the counties listed below, when you go to the polls, you will be asked to vote on a proposed tax increase. Some counties will vote on a land transfer tax and others will vote on a sales tax increase. Several counties are voting on both and commissioners will decide which one to enact. 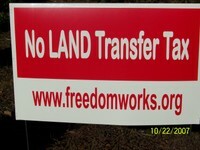 This land transfer tax is a regressive tax that unfairly targets one group of citizens. The land transfer tax in an unreliable income source. Disappointing real estate tax revenue in an uncertain market could lead to additional tax increases. The sales tax is a regressive tax. Neither the land transfer tax nor the sales tax will be deductible off your federal income taxes like your property taxes are. I have included in this e-mail the phone numbers of your local board of elections should you have questions about your voting location. Please take the time to vote against higher taxes in your community. -Dallas Woodhouse is state director of NC Americans for Prosperity. See below for a list of counties voting on this issue. For those of you living in the counties listed below, when you go to the polls, you will be asked to vote on a proposed tax increase: an increase of 200% in your county real estate transfer tax (home tax). If passed, your real estate transfer tax will go from 0.2% to 0.6% of a home's sale price. The additional tax means an additional $800.00 on a $200,000.00 home! The land transfer tax in an unreliable income source. Disappointing real estate tax revenue in an uncertain market could lead to additional tax increases. Whether you live in an affected county or not, this is matter of extreme urgency – these taxes need to be stopped before they have a chance to spread like kudzu! If you would like to help with this important campaign, please contact Kathy Hartkopf at khartkopf@earthlink.net to learn what you can do to stop egregious home transfer taxes. Early voting begins on October 18.